The Ultimate range of cables has been designed for the serious Audiophile who wants the best sound possible. I am pleased to offer the Ultimate range of cables because I know you will hear improved sound in your music. 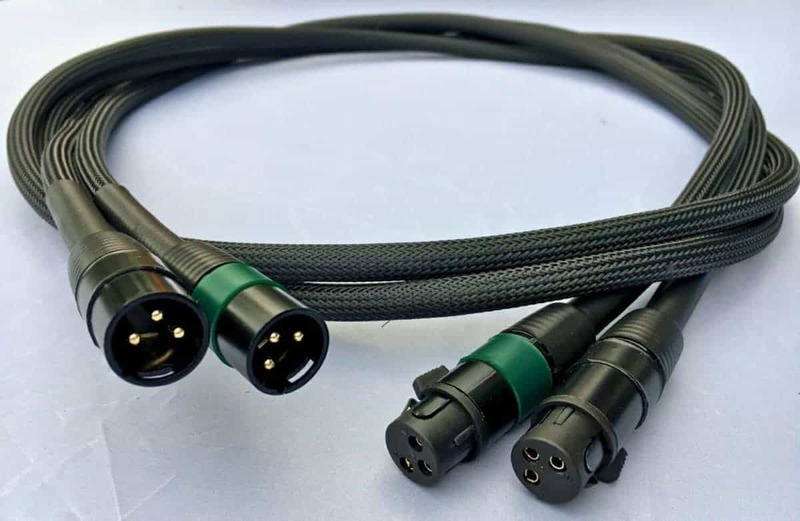 The Ultimate range of cables includes Silver plated (2.45 g/m) 99.99% OFC multi-strand conductors, 24K Gold plated connectors and three level AirGap isolation. Everything starts with power and is essential to have good power cords as a foundation for your system. 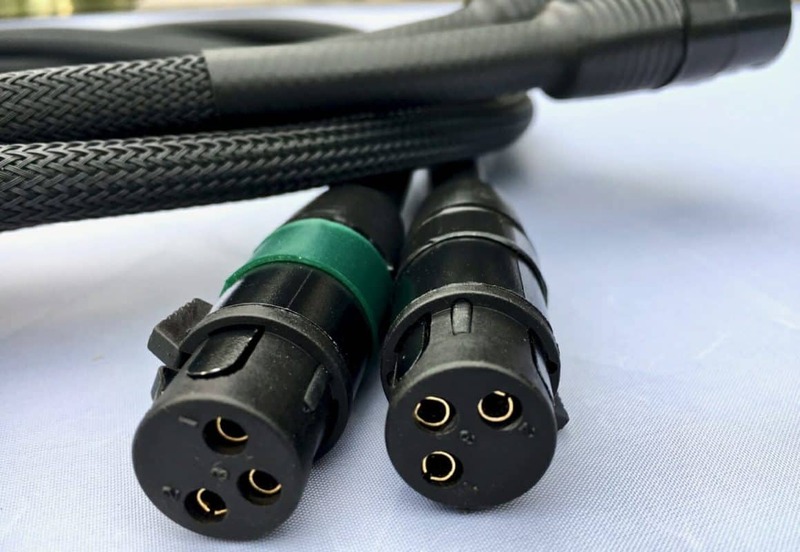 The Ultimate power cords sonic performance is achieved because the conductors are produced according to harmonized standards. (H) for voltage 300/500 V (05), in PVC insulation (V) and in PVC sheath (V), with the copper flexible multi-wire cores (F). The results are blacker background which allows vocals and instruments to offer a better presence. This, in turn, is giving a cleaner, more transparent natural sound. Specifications ~ Diameter: 14.0 mm. Conductors: 3 x 2.5 mm OFC, multi-wire class 5. Resistance: 0.99 ohms/300m. Weight: 1.2 Kg/ meter. Insulation: PVC type TI2. Sheath: PVC type TM2. Primary AirGap: DERAY-PBFSP. Secondary AirGap: DERAY-PBFSP. Outer AirGap: DERAY-PBFSP. Outer sheath: CanuFlex PE-HB. Operating temperature: -40°C to +70°C, Normal voltage: 300/500 Volts. Certificates: PN-EN 60228 and BS-EN 60320. 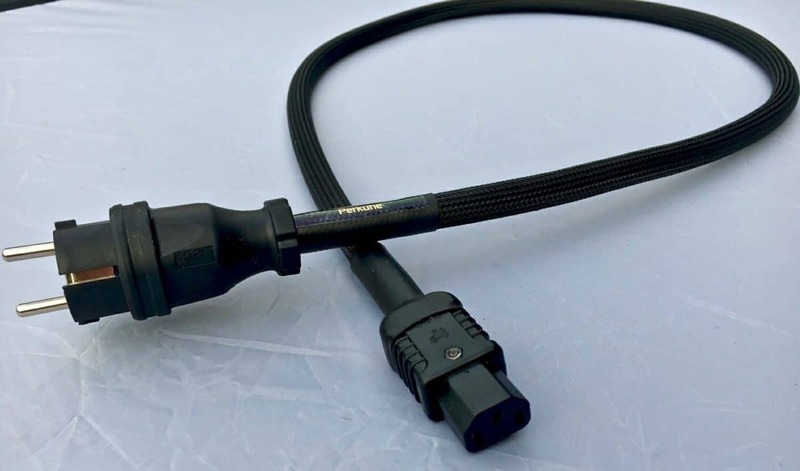 The two-meter Ultimate power cord has three level Air Gap isolation, industrial Schuko (impact resistant) tamper-proof plug and the latest IEC heavy duty C-13/HC5 making a more secure connection. The power cord offers speed, dynamics, improved soundstage, darker background, and you will continue to hear improvements from your music in many ways over the next few weeks. 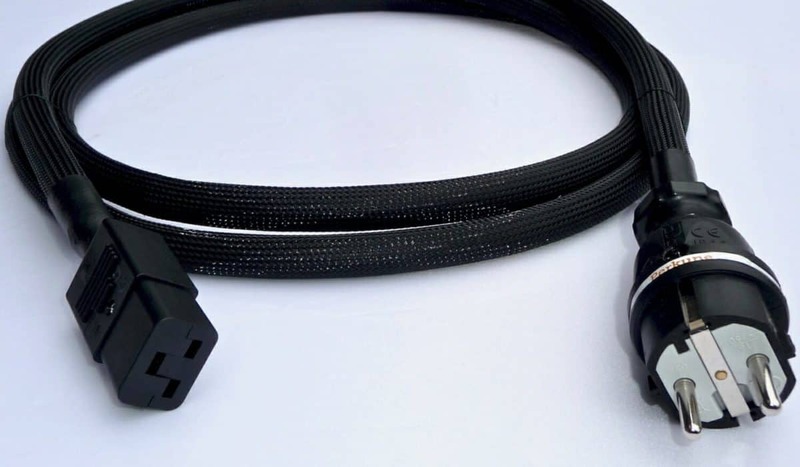 The three-meter Ultimate power cord provides you with an increased dynamic range. A larger Soundstage and a sense of 3D becomes apparent and you will feel an increased depth in your music. 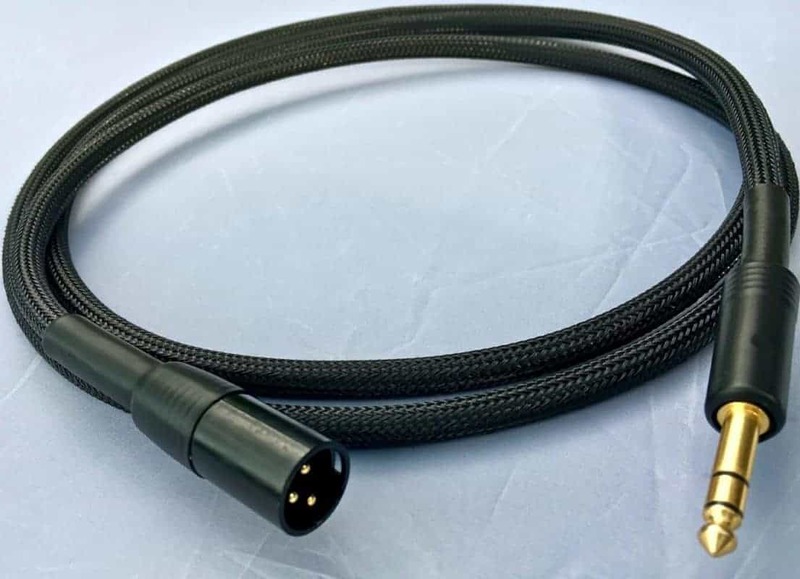 The power cord is fitted with Industrial Shucko (impact resistant) tamper proof connector, IEC 320 C-19 (Impact resistant), 21 Ampere-250 Volt connector and ideally suited for your main power supply and mains conditioner. Specifications ~ Diameter: 14.0 mm. Conductors: 3 x 2.5 mm OFC, multi-wire class 5. Resistance: 0.99 ohms/300m. Weight: 1.2 Kg/ meter. Insulation: PVC type TI2. Sheath: PVC type TM2. Primary AirGap: DERAY-PBFSP. Secondary AirGap: DERAY-PBFSP. Outer sheath: CanuFlex PE-HB. Operating temperature: -40°C to +70°C, Normal voltage: 300/500 Volts. Certificates: PN-EN 60228 and BS-EN 60320. Possible to add an Industrial impact resistant adaptor to the power cord, as the best way to keep flexibility and be able to use your power cord in any country you choose. The Ultimate interconnect offers a superior level of performance in your musical presentation. Soundstage, transparency, musicality, and bass are improved. You will be aware of new energy, speed, and clarity. The professional quality RCA connectors are low capacitance and have the lowest possible metal contact so minimizing eddy current formation and signal degradation. Signal and signal return connections are made in a single piece, avoiding joined contact losses, thus achieving very high conductivity. The One meter, Ultimate interconnect delivers a level of performance, which is equal to a cable costing many times the price of a Perkune cable. The sound is open, spacious, relaxed and filled with the detail you would not expect from a cable this length. 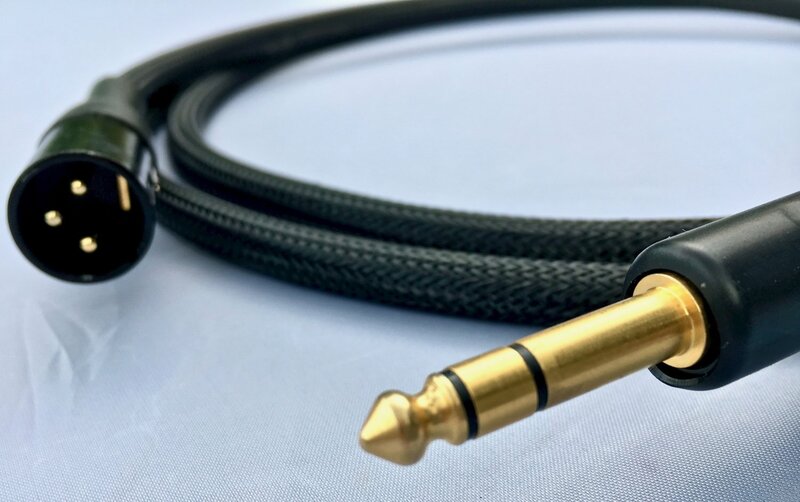 The one-meter ultimate interconnect offers Silver-plated, OFC 99.99% with two level AirGap isolation and 24K gold plated connectors to bring your music as it was meant to be heard. The Ultimate interconnect cable delivers a level of performance, which far exceeds the ‘Standard’ series interconnects. You will experience a true feeling of ‘Air’ and become a part of the music. Deep bass, image positioning, transparency, and musicality are some of the features made apparent. The two-meter ultimate interconnect offers Silver-plated, OFC 99.99% with two level AirGap isolation and 24K gold plated connectors. The two-meter interconnect will give the Ultimate experience! The Ultimate balanced interconnect offers an unrivaled level of performance for the serious audiophile. Improved soundstage, transparency, instrument position and the sense of realism make this interconnect ideal for the audiophile who demands the best! Silver-plated OFC 99.99% with braided shield and 24k gold plated male/female pins with connecting terminals gives the ultimate connection. Two level AirGap isolation and complete flexibility allow this cable to reveal the minutest detail and information from your music. The turntable is the most respected piece of equipment in an audiophiles system. This is because of the pure mechanics employed. The fragile nature of the signals produced by the cartridge which need to be transferred to the preamp. Making it an absolute must to use the best possible connection. I am able to offer a cable which will allow you to hear the music as it was meant to be heard from your turntable. 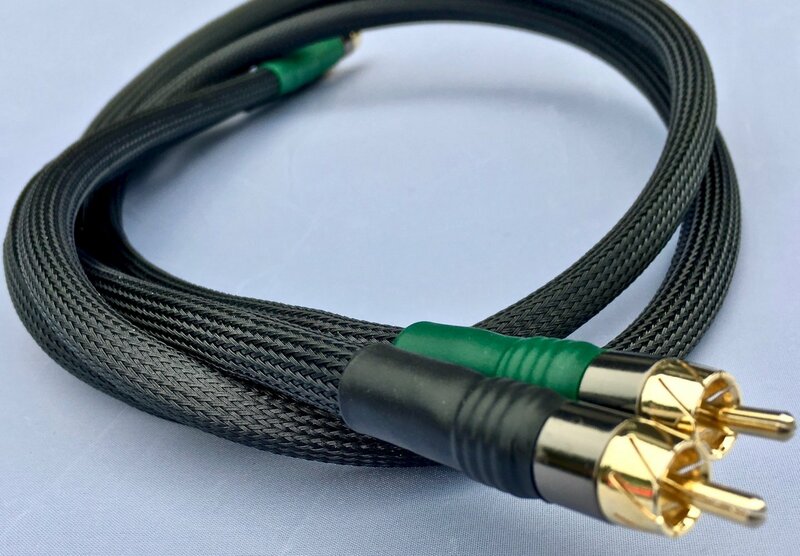 The One and a half meter Ultimate Turntable cable is built to the same high standards. 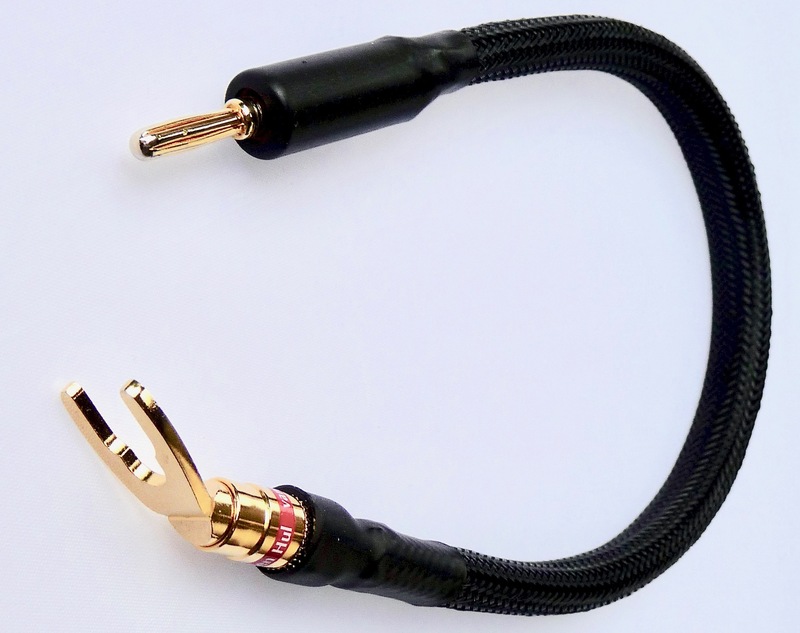 And employs 24K gold plated fittings, Silver-plated OFC 99.99% with a braided shield in each cable. Two level AirGap isolation. Full-length earthing cable (with spade connection at each end). 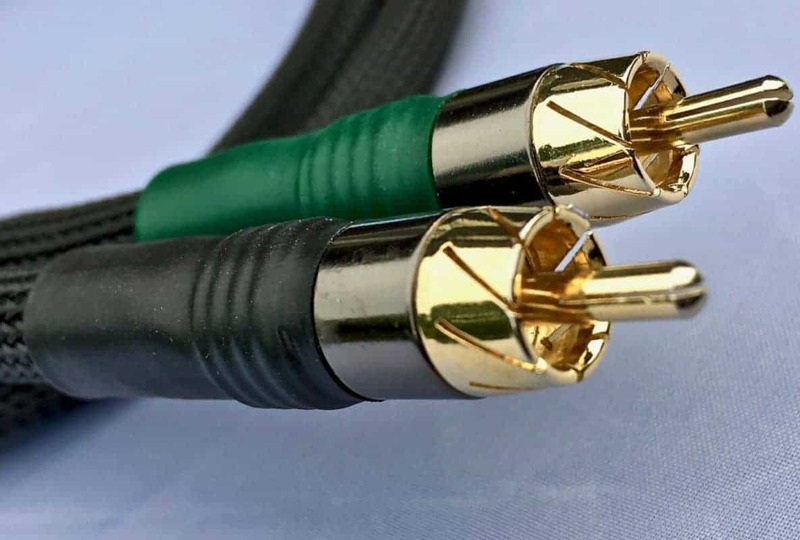 The Cable has been designed to bring everything from the cartridge to the turntable preamplifier neither adding or subtraction precious information. 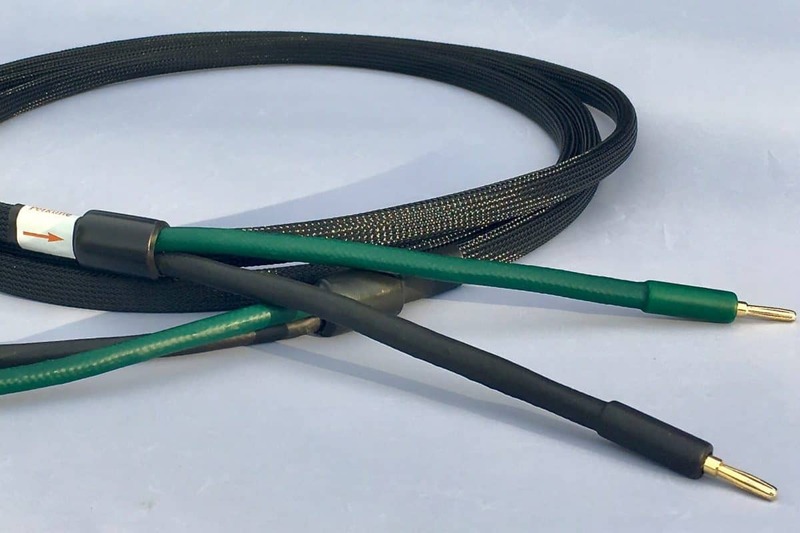 The earthing cable supplied is full length to match the RCA connection length but can be made to your specifications at no additional cost. The Ultimate Studio Interconnect is perfect for mastering and getting that mix just right. Every detail in the mix becomes clear which makes it easy to add effects and blend transformations. Silver-plated OFC 99.99% with braided shield and 24k gold plated male/female pins with connecting terminals gives the ultimate connection. Two level AirGap isolation and complete flexibility. This cable will reveal the minutest detail and information from your music for a perfect final mix! The use of high-quality materials reduces signal losses in the cable. Resulting in better sound reproduction especially in high power audio sets and over long distances between loudspeakers and amplifier. On the whole, highly-flexible wires have a larger conductor surface compared to solid designs. This benefits the transmission of high-frequency ranges. As well as the fine wire design (0.07 mm), the silver-plating also supports the transmission of high frequencies. The low-loss PE wire insulation and the additional PE dielectric also relieve the burden on the amplifier for more dynamics and pleasure. The Ultimate loudspeaker cable is a beautiful sounding cable, which brings the music right into your room. Filling with micro detail, echoes, after echoes and a sense of realism, just like you were at the recording or live event. 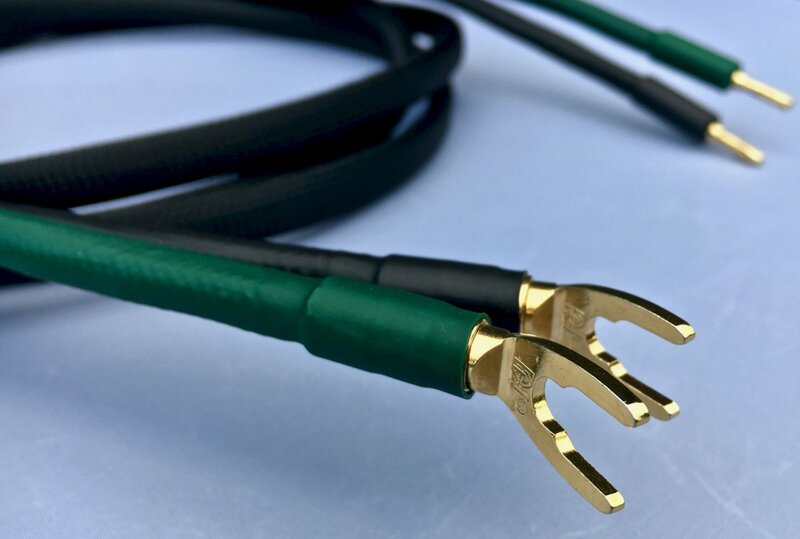 Silver plated (2.45 g/m) 99.99% OFC multi-strand conductors, 24 Gold plated connectors, two-level AirGap isolation, and PE sheath make this cable a must for the serious Audiophile! Termination is normally 24K gold plated banana connection but can be supplied with angled spade terminal blades. these are 2.0 mm thickness, 15 mm external width and fits studs from Ø 5.0 mm to Ø 9.0 mm. The Ultimate loudspeakers cable can be supplied in 2.5, 3.5, 4.5 and 5.5-meter lengths. 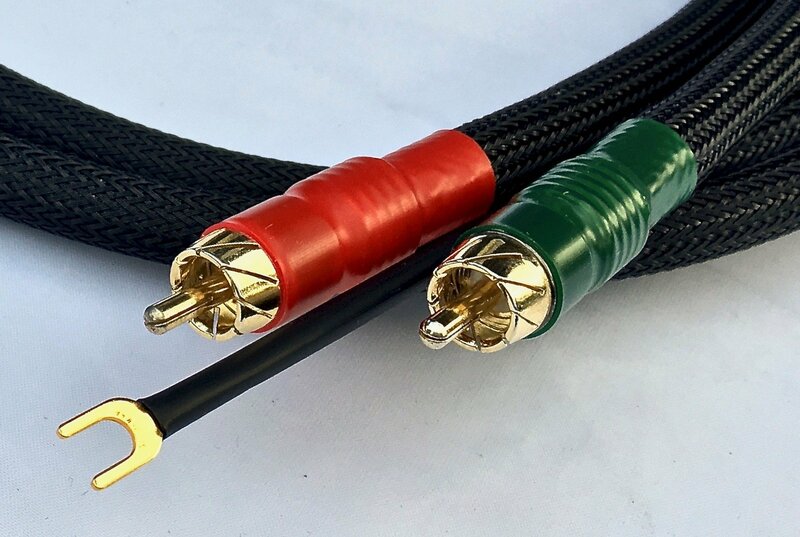 Jumper cables are the perfect solution for achieving exceptional sound by replacing the standard, bent metal plates and generic wires supplied with most bi-wire loudspeakers. The design provides a straight-line, low-loss jumper that ensures optimum results. 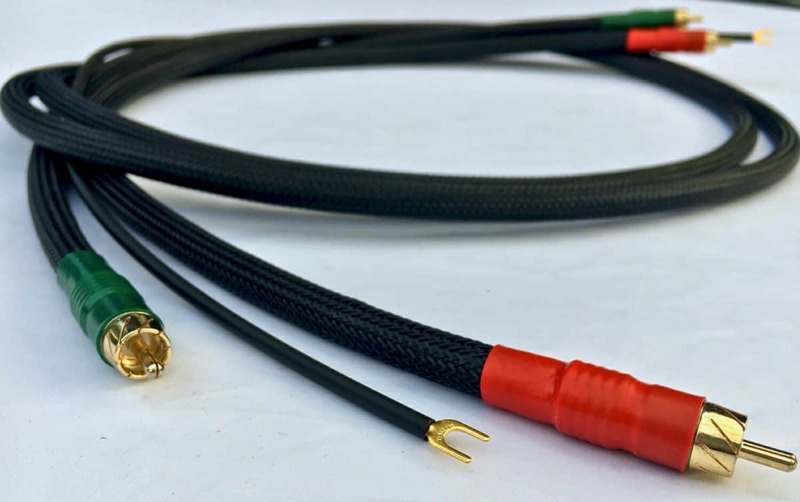 The Jumper cables are 30 cms in length and supplied with 24k gold plated Banana/Spade connections and four to a set. The Jumpers cables can also be supplied spade/spade or banana/banana depending on your loudspeaker configuration.